The Changzhou Intermediate People’s Court on Monday accepted a lawsuit brought by two environmentalist groups against two soil-remediation companies. 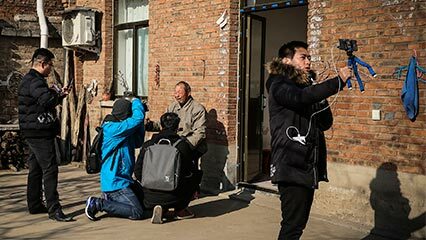 The nongovernmental organizations are suing the companies, Changzhou Black Peony Construction Investment Co. Ltd. and Jiangsu Tian Ma Wan Xiang Construction Investment Co. Ltd., over a tract of polluted land they restored but that parents say made hundreds of students ill at an adjacent school in Changzhou, a city in eastern China’s Jiangsu province. Ge Feng, a spokesperson for one of the plaintiffs, Friends of Nature (FON), told Sixth Tone that the companies had failed to cover their soil-restoration work site with canopies, causing air pollution, and that the NGO had spotted polluted soil illegally dumped by the companies as early as 2015. “The dumped soil was found on the green lawns and farmlands along the provincial highway,” she said. Ge said that the organizations decided to sue the companies back in April, but that it took more than half a year to collect evidence. The lawsuit was filed at the end of November, and FON was informed on Monday that it had been accepted. The other plaintiff in the case is the China Biodiversity Conservation and Green Development Foundation (CBCGDF). An employee of defendant Tian Ma Wan Xiang told Sixth Tone that the company was not aware of the lawsuit. “We don’t know that we’ve been named defendants; no one told us,” he said. Black Peony could not be reached for comment on Thursday. 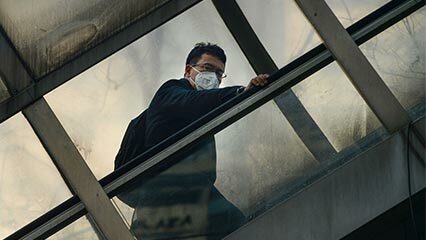 The pollution case received nationwide attention after state broadcaster China Central Television on April 17 reported on the plight of parents and students at Changzhou Foreign Languages School (CFLS). The prestigious school’s newly built campus was located next to the former sites of three chemical companies, and parents blamed a spate of student illnesses — ranging from bronchitis to cases of lymphoma and leukemia — on pollution originating from the soil. The day after the TV news report aired, the school and local government disputed some of the allegations, saying there were no known cases of leukemia and that the one known case of lymphoma had been diagnosed before the school moved to its new campus. An employee of CFLS did not wish to comment on the lawsuit when contacted for comment by Sixth Tone. Days later, an initial government investigation into pollution near CFLS found no signs of air pollution at the time. The report did say soil restoration had not finished on schedule, meaning the school moved into its campus before the work was completed. The soil-remediation companies had also failed to implement the necessary safety measures, and oversight by the district government had been lacking, it said. The soil was polluted by three chemical factories that used to occupy the site next to what is now the CFLS campus. The largest of the three, Jiangsu Changlong Chemicals Co. Ltd., operates several chemical factories in the Changzhou area and has a history of poor waste management. 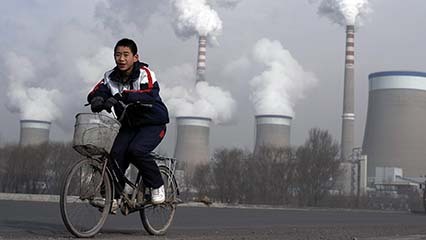 Among other transgressions, a Chinese court in 2014 ordered a unit of the company to pay more than 80 million yuan ($11.5 million) for polluting the environment. “I haven’t seen the company deal with its waste water in a proper way for even one year,” a retired former employee of Changlong told Sixth Tone in an earlier interview. The two environmental groups, FON and CBCGDF, filed a lawsuit in April against the three chemical companies. The same Changzhou court accepted their case in May, and hearings are set to begin Dec. 21. 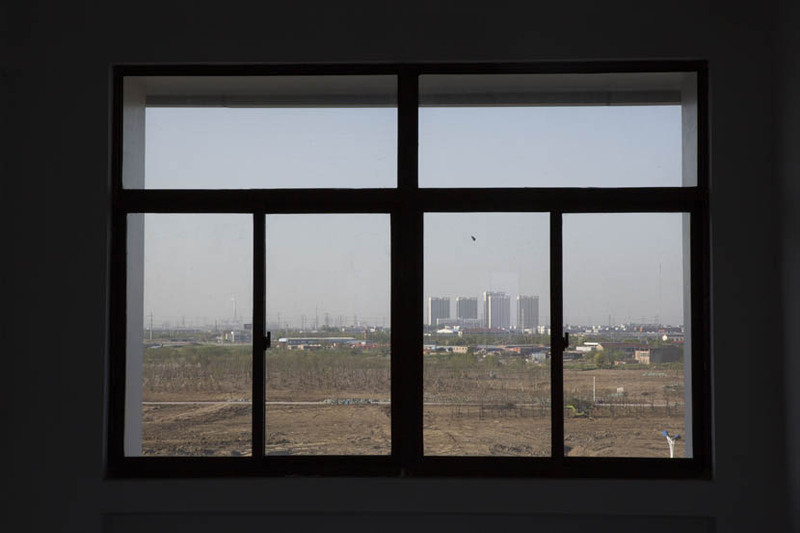 Changlong’s factory vacated the site between 2008 and 2011, moving to an industrial park on the outskirts of the city. 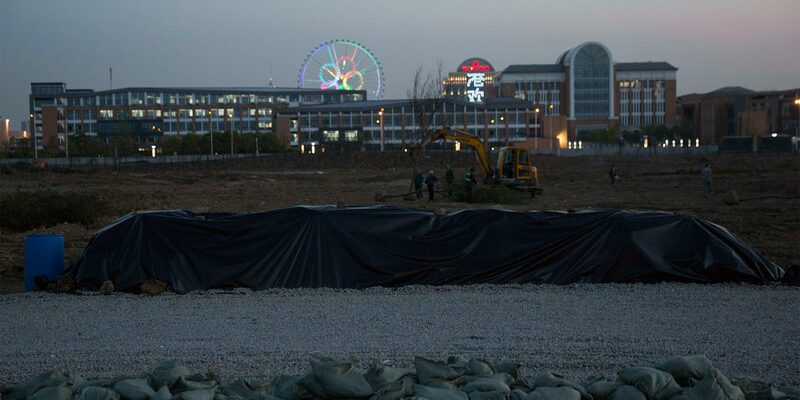 The other two companies moved away around the same time, and the district government initiated the bidding process for soil remediation of the site in 2013. The work started in March of 2014. One company, Black Peony, was responsible for the detoxification of the soil and groundwater, while Tian Ma Wan Xiang cleared the polluted soil, according to a report by financial news outlet Caixin. When students started reporting illnesses in December 2015, the district government’s environmental protection bureau halted the restoration work. Life at CFLS appears to have returned to normal. One student’s father — who, when the initial allegations surfaced, organized other parents to share their experiences in an online chat group — told Sixth Tone that the situation is “calm,” and that he did not want to discuss the case anymore. “Please give our kids a peaceful environment in which to study,” he said. Additional reporting by Lin Qiqing and Wang Yiwei.